Our Company manufactures all flat engine and high temperature gasket types for OEM and OES. We are gasket specialists since 1926. 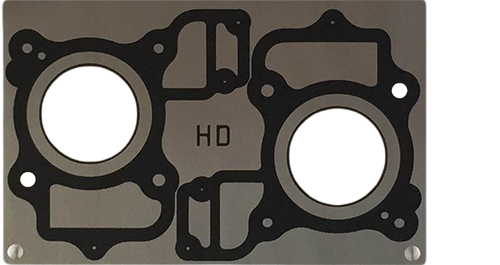 Our main products are cylinder head and exhaust gaskets but we design and produce as well all other flat specialty gaskets for engines and various assemblies (compressors, transmissions, etc.). We use the most advanced materials and technologies to develop and manufacture high-quality, cost-effective products. 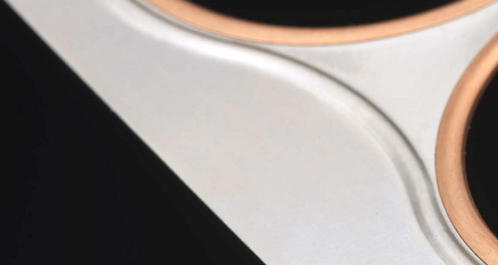 Our core technologies rely upon Linear Sealing and Surface Sealing. Spesso’s Custom Coated Composite (CCC) combines both of them in a technology extremely adaptable to our customers’ sealing needs. Your sealution! The “Linear Sealing Technology” (metallic line) relies on the spring effect of beaded metal plates and is particularly used in the automotive and heavy-duty Original Equipment business. 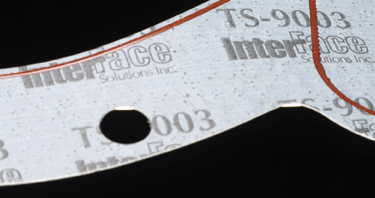 The “Surface Sealing Technology” relies on recovery and compressibility effect on all surface. This technology combines a beaded steel core with a custom engineered partial coating.